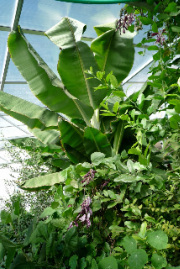 Permaculture Design - eco systems design, inc.
We have been teaching and designing permaculture systems since the mid-1980s. We offer comprehensive site analysis, guidance in keeping with client’s goals, base mapping, detailed plant selection and layout, keyline and permaculture-informed site designs as well as solar building and greenhouse design. Let's grow together! Visit the Central Rocky Mountain Permaculture Institute, our sister non-profit center for permaculture forest gardens, greenhouse ecosystems, integrated pest & weed management and a wide array of workshops and design certification courses in permaculture practice. We supply information that enables people everywhere to provide for their own & their communities' needs for food, energy, shelter, & to design decent lives without exploitation or pollution & from the smallest practical area of land. 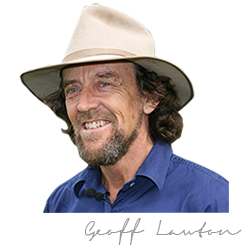 "You can solve the world's problems in a garden"
Get inspired by watching the many short videos Geoff has created here, showing us lots of good news happening everywhere. 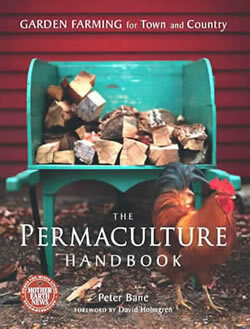 The Permaculture Handbook by Peter Bane is a step-by-step, beautifully illustrated guide to creating resilient and prosperous households and neighborhoods, complemented by extensive case studies of four successful farmsteads and market gardens.